So, now that we spoiler junkies are amongst ourselves let’s take a look at the poster, shall we? Now, of course no one can say for sure if this poster is just a clever fake or the real deal, however, it does look quite real. At least it appears it’s using all the leaked costumes and designs from a while ago. 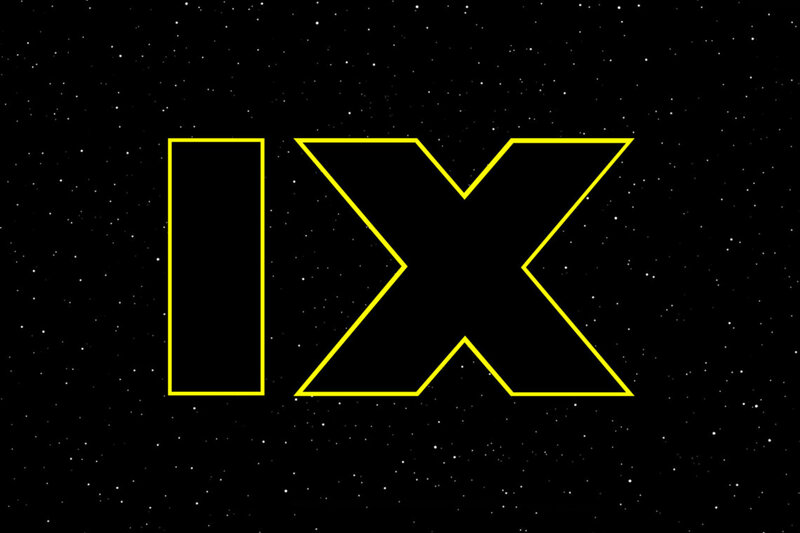 We see the Knights of Ren to the left, Rey’s look has been confrmed several times now, as has been Poe’s and Finn’s. Of special interest is the helmeted female character on the right, who is probably Keri Russel’s character, her costume was described as being reminiscent of Zam Wesell in Attack of the Clones, the costume depicted here certainly fits that description. It’s certainly curious that C-3PO is holding Chewie’s bowcaster, also, R2-D2 is conspicously absent, but BB-8 and his little friend are pictured. Rey appears to be holding Luke’s/Anakin’s lightsaber, but it’s very difficult to tell because of the low resolution. Contrary to some leaks the lightsaber seems to work like before, no crossguard or other defects after the repair. You can also glimpse a new TIE Interceptor and a Y-Wing, which, to the surprise of no one, look very much like the OT counterparts. It seems the FO and the Resistance keep using the same spaceship designer as 40 years ago. Note the new helmet design for the FO trooper in the center, which seems to take some design cues from Clone Troopers. It is very odd that Lando is absent, as are Leia and Luke (Rose is missing too btw). One would think the official movie poster would advertise the fact that it’s the last time we ever get to see the OT heroes in a Star Wars movie. But we cannot say if this is the actual movie poster or just a poster that is to be used for promotional purposes in stores etc. And of course, the title is absent. So, if it’s a fake, it’s a good fake, and if it’s the real thing it does look like any of the previous posters for the sequel trilogy, it’s consistent and in style of the previous posters. Note the light/dark dichotomy, which is reversed from the previous poster for The Last Jedi. I would guess that the poster might be legit, but that it is NOT the actual movie poster and rather something intended for other promotional purposes. 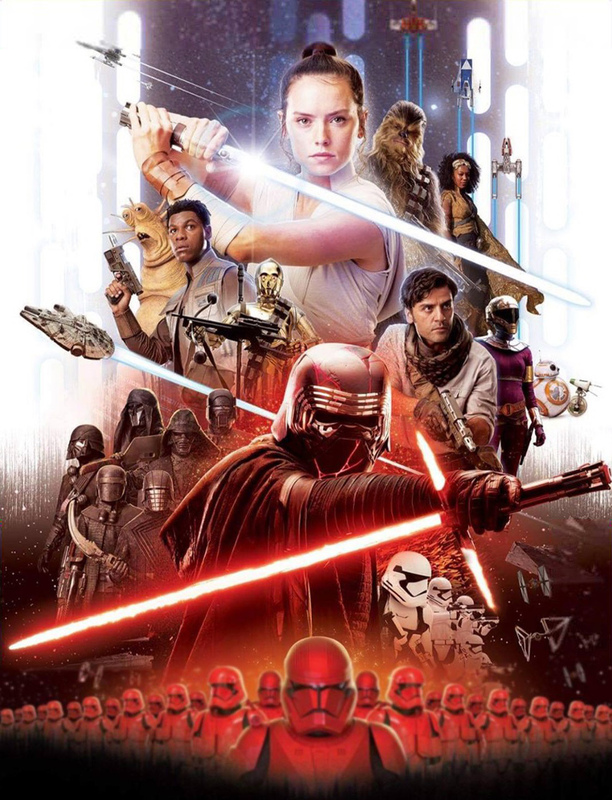 I cannot imagine that Disney would leave out Luke, Leia and Lando and not promote them more prominently on the official movie poster. 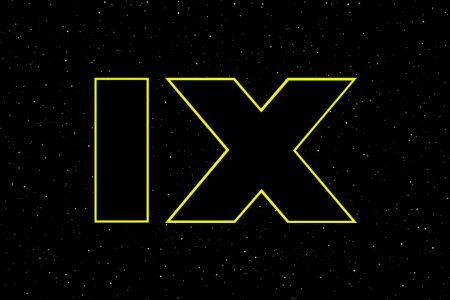 Anyway, that’s the first look at the (or a) Episode IX movie poster. Now let’s leave your thoughts in the comments! Update: on Reddit the following character photo was leaked as well. It basically confirms what we learned from other leaks. But we see Zorii (Keri Russel’s character) much better here. And it appears Jannah (Finn’s sister or Lando’s daughter?) is fighting the First Order with bow and arrow? Was she trained on Endor by Ewoks? I find it unfortunate that Lando looks like his younger self from the Solo movie and that Rey looks like in TFA, only with some bleach applied to her outfit. Nothing can save the Finn and Poe action figure, I’m afraid, Zorii is a must have (Hasbro better give us an unhelmeted head or else….!) and Jannah might make for an interesting figure as well.